I have always been a holistic healer at heart. I became a certified personal trainer and realized it was not just about exercise. It was about mind, body, and spirit. I studied holistic nutrition at SWIHA and while doing so, I realized it was not only what we put in our bodies, it is what we put ON our bodies. I started searching for products to use that did not contain harmful ingredients and I had a hard time, so I started making my own. I am always researching ways to make the healthiest products to use in your home. I only use high quality ingredients that I trust. When I make a product, I make it with lots of love as if it were for me and my children. I dream of creating a healthy and happy world. I dream of living in a small cottage where there is an abundance of herbs, flowers, trees, streams, and animals. I could sit for hours and watch the branches of a tree sway in the wind. I want the world to find inner peace and feel alive. I believe making products that contribute to the health of the world eases my soul. I love the way my house smells when I am making a new body butter or facial kit. I love even more knowing it will bring happiness to someone else. That is why I created Holistic Owl. I was going to school for holistic nutrition and really started to notice all of the chemicals used in our products. I started looking for products on the market that were more family and earth friendly with no luck. This was in 2012, and now we have an abundance of chemical free products. But this is where my love of making my own products came from. 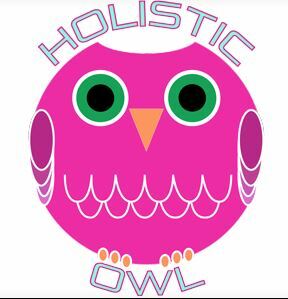 So, Holistic Owl was born. I also took an aromatherapy and homeopathy course while in school. I learned so much about the importance of essential oils and how they are made and the benefits. It is good to buy from a reputable source that tells you how the oil was made and where the ingredients came from. There are plants on the endangered list because of the popularity of essential oils today. You have to use them with care like anything else. I always purchase genuine ingredients when making products. If I would not use it on my children, I will not offer it to you. When I started making my lip balms, tooth powders, and body butters back in 2012 I had people ask where they could get them. 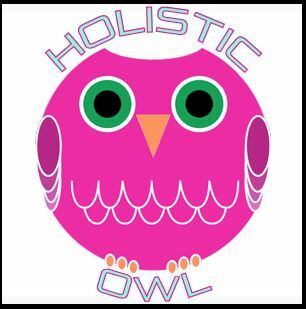 So, I started an Etsy store called Holistic Owl. I took a much needed break when I started doing Hypnotherapy and repurposed furniture. I am an artist at heart and I love to dance around with things I love to do. But, I am missing my magic potions and wanted to make more products to share. I am focusing on being simple and just making what I really love. Feel free to request a custom product. I will be sharing recipes on this blog that work for me. I am also adding Hypnotherapy mp3's because it is such a wonderful natural healing modality. You can read all about Hypnotherapy at Sacred Space Hypnosis. My husband will also be adding brooms that he hand carves soon.